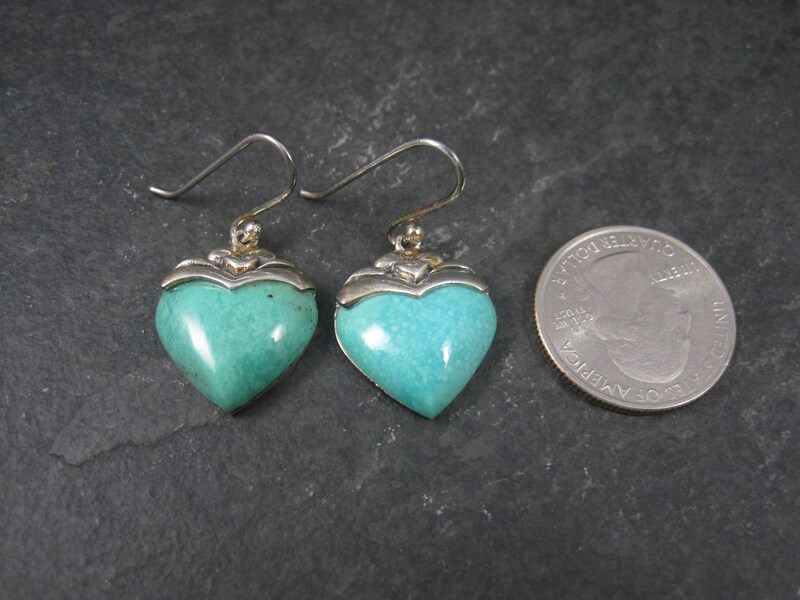 These beautiful 90s earrings are sterling silver. 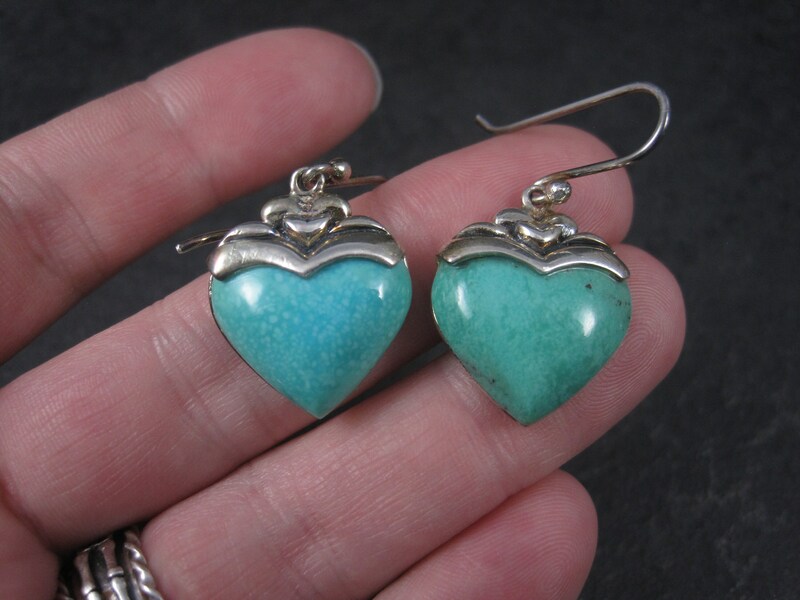 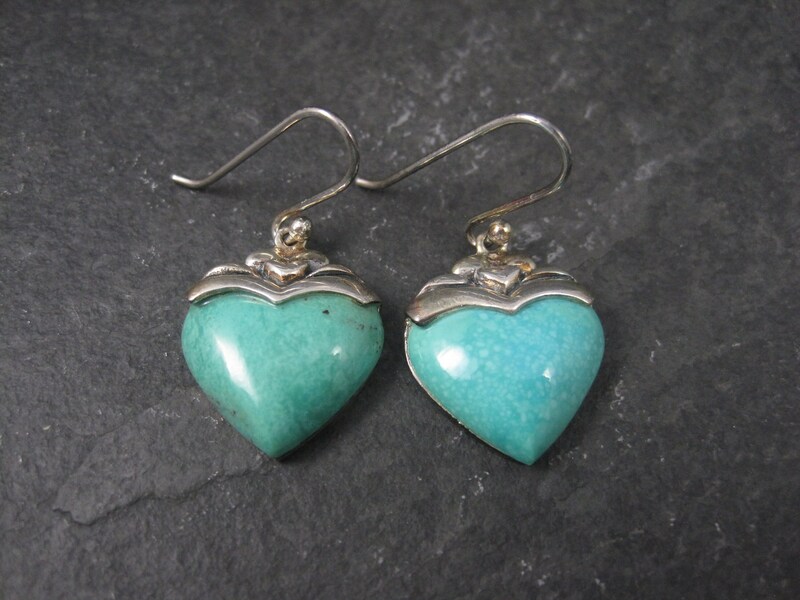 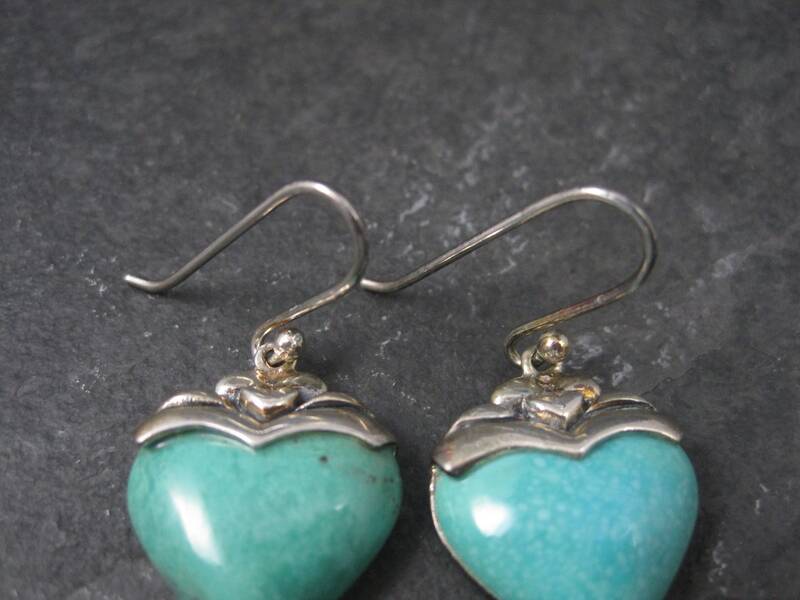 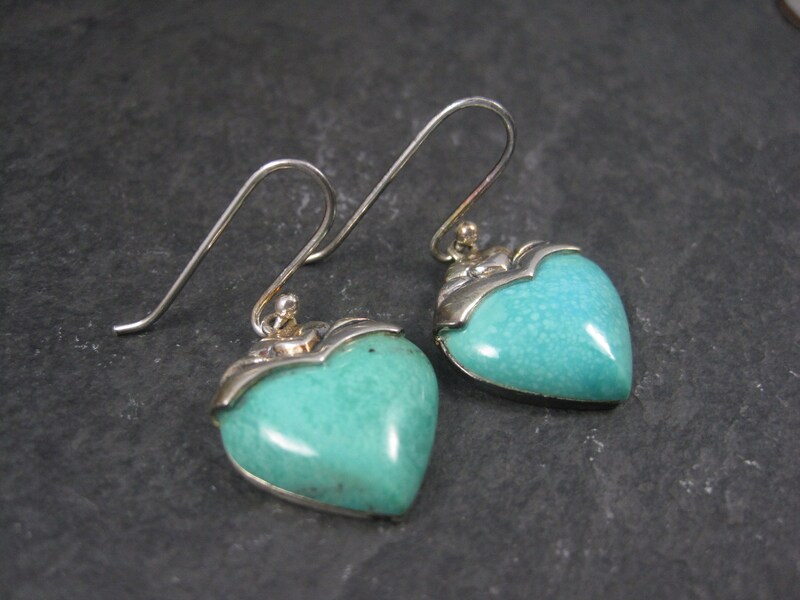 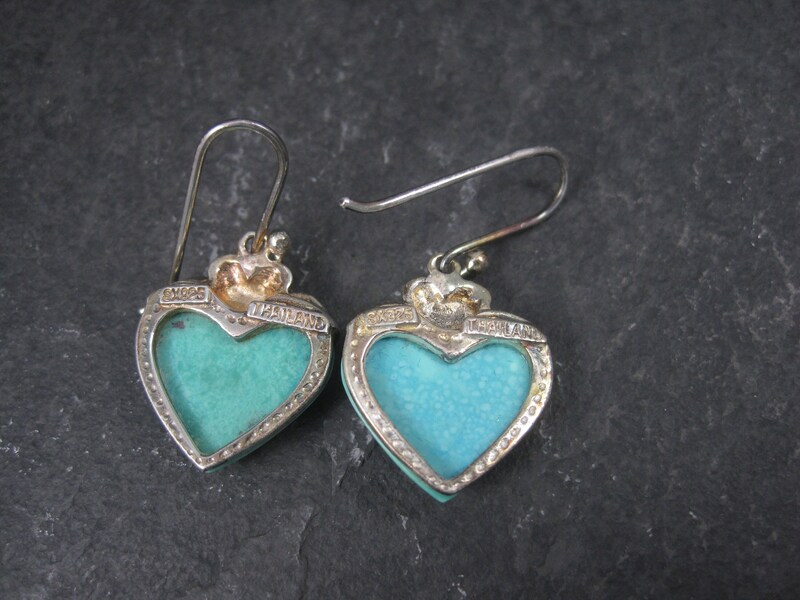 They feature what looked to be dyed heart cut stones made to look like turquoise. 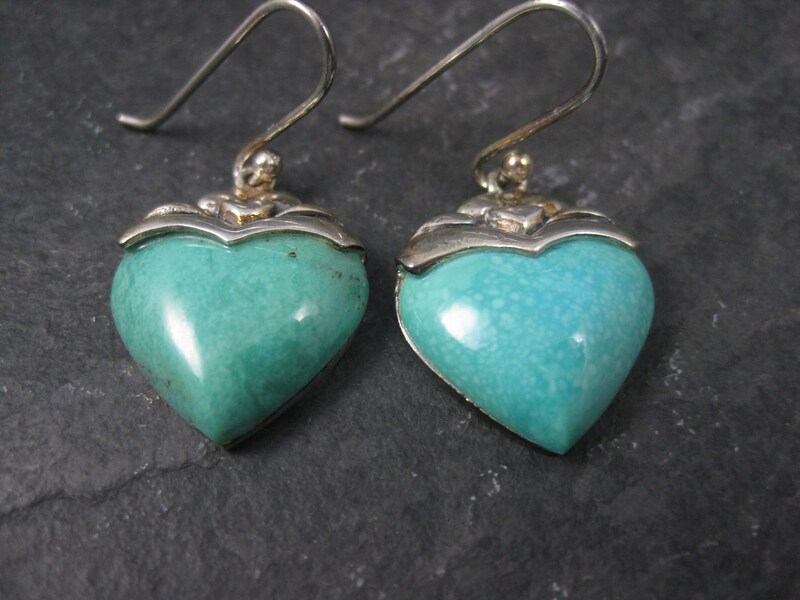 One heart is a bit greener than the other.